New York based decoupage artist John Derian has joined forces with Designers Guild on a range of bold wallpaper and fabrics based on his colourful designs inspired by nature. Utilising his extensive archive of vintage decoupage prints, the new collection includes birds, shells and large vibrant floral designs. 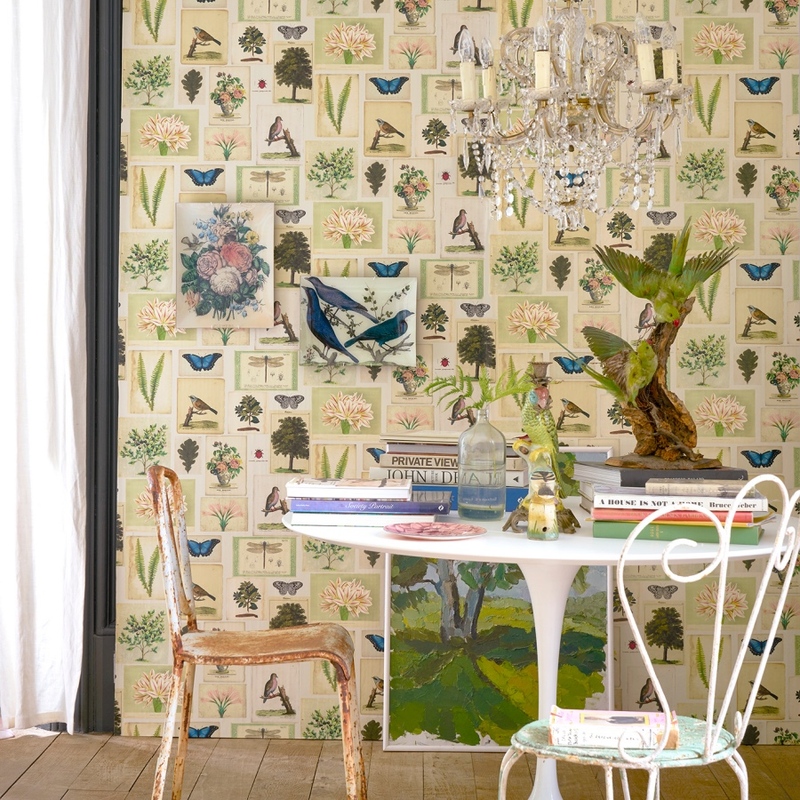 One of my favourites, Flora and Fauna wallpaper comes in 3 colour ways and is £65/roll from wallpaperdirect.com. From the Picture Book collection, it is a stunning assemblage of intricate botanical illustrations. The John Derian Picture Book, a compilation of some of his favourite 18th and 19th century images from his archive, was released in 2016 and quickly became a New York Times Best Seller. Another fabric from the new collaboration, Paeonia Albiflora in Celadon, is an exquisite and highly ornate illustration of peonies with soft pink and alabaster tones on a soft celadon hued ground. To see my pattern scheme using this fabric click this link.